PLaSM blends the powerful algebraic approach to programming developed at IBM Research, with a dimension-independent approach to geometric data structures and algorithms, This book shows that such geometric code can be surprisingly compact and easy to write. 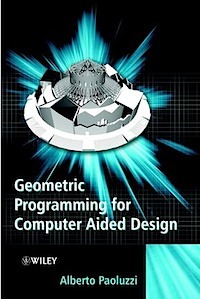 The book begins by introducing the basic programming with PLaSM and algebraic and geometric foundations of shape modeling, the foundations of computer graphics, solid modeling and geometric modeling of manifolds follows and finally discusses the application of geometric programming. For each topic, the mathematics is given, together with the PLaSM implementation (usually with a few lines of readable code) and some worked examples.